It’s a common misconception that arthritis only affects the elderly, but kids can develop it too. In fact, juvenile arthritis affects nearly 300,000 children in the US. 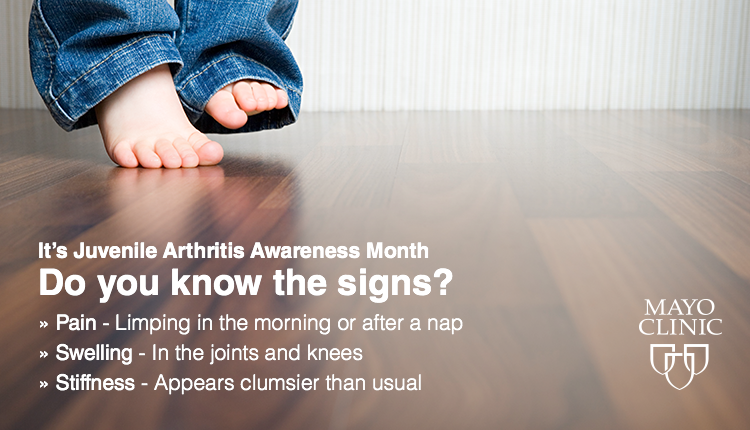 In honor of Juvenile Arthritis Awareness Month, learn the common symptoms. It’s a common misconception that arthritis only affects the elderly, but kids can develop it too.